Things have progressed very quickly this week, and I’m excited to see that several of the herbs in the garden are big enough to harvest (at least a little bit) for cooking this weekend. Actually, the chives are big enough to harvest quite a bit. If you cut them near the soil level, the new shoots won’t have brown tips. If you cut them higher, the current shoots will just keep growing, but have that ugly brown tip on them. The sage hasn’t really started growing yet, but it’s still alive and could be harvested if I wanted to. Not sure I’m making anything this weekend that would be very tasty with sage. The oregano is growing quickly, but I wouldn’t want to harvest more than a few sprigs at this point. The thyme is looking green and will probably start blooming soon. I’m always happy to have fresh thyme to use. 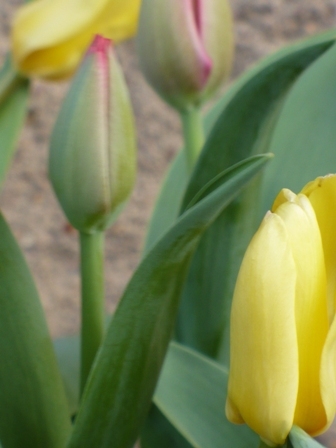 Hmm…well, the tulips don’t technically qualify as herbs, but they were pretty! Posted on April 2, 2010, in PhotoEssays and tagged flowers, herbs, Spring, spring garden. Bookmark the permalink. 3 Comments. My mother-in-law’s lemon balm is absolutely going to town, as she pointed out to me today. Mine (actually my son’s, from when it was the giveaway on Herb Day) hasn’t sprouted yet, but it’s in a windowbox so it’ll probably need to get warmer before we see it. I’m interested in how you treat the herbs as perennials. I’m used to just buying new seeds and starting new plants each spring. Are there any special steps you take in the fall and then in spring, and which herbs can be grown as perennials? 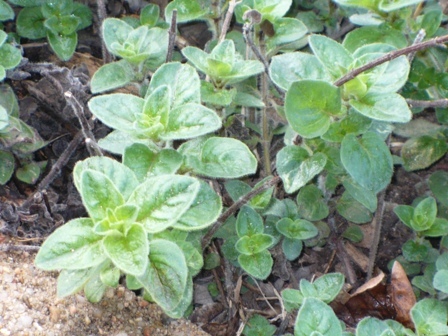 Many herbs are perennials, depending on how cold it gets in your area. Here in southern Kansas, we are zone 6. 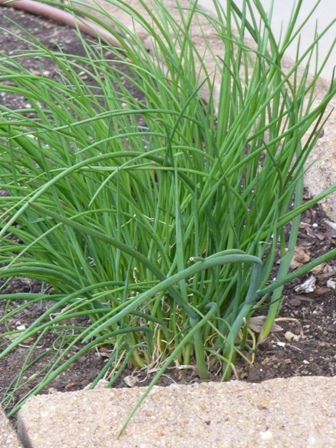 Things like chives, thyme, and mint should easily regrow from their roots each spring if they were healthy in the fall. 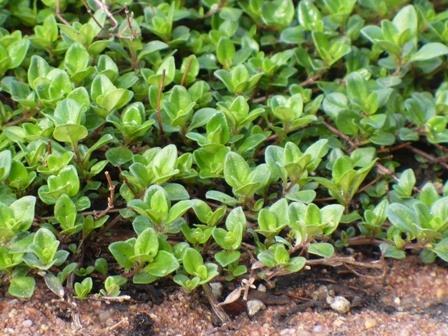 Thyme can even stay green all winter. 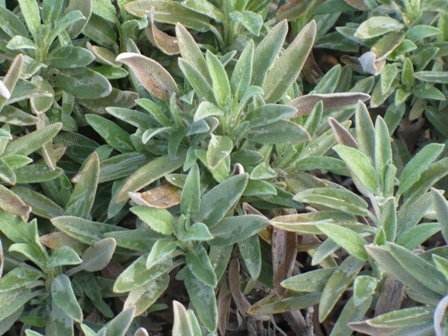 In zone 5 or 6+, oregano, sage, lavender, and tarragon should also survive the winter. Rosemary is marginally hardy here (Zone 6-7). Things like basil, dill, parsley, and cilantro will need to be started fresh each year, because they are only annuals here.